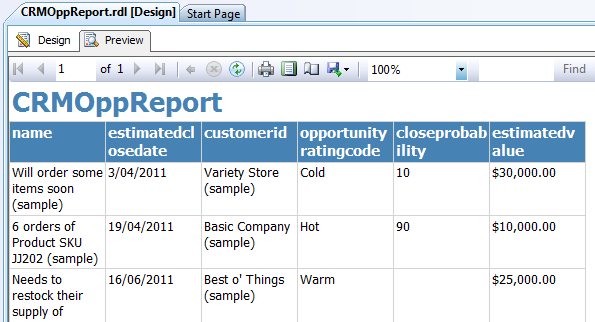 Here’s some hints on how to get up and running writing SSRS reports in Visual Studio for CRM 2011 Online. Target audience is those folk who have written SQL query based SSRS reports for CRM 4.0 who need to up skill on the use of Fetch XML in their report development. 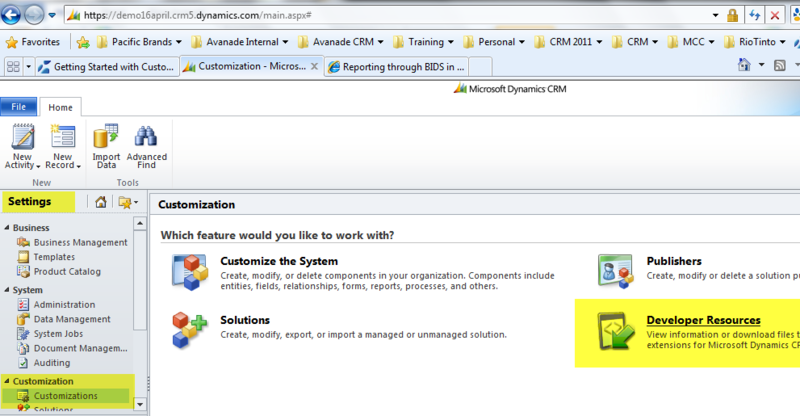 – Install Microsoft Dynamics CRM 2011 Fetch Authoring Extension, which you can download from here. 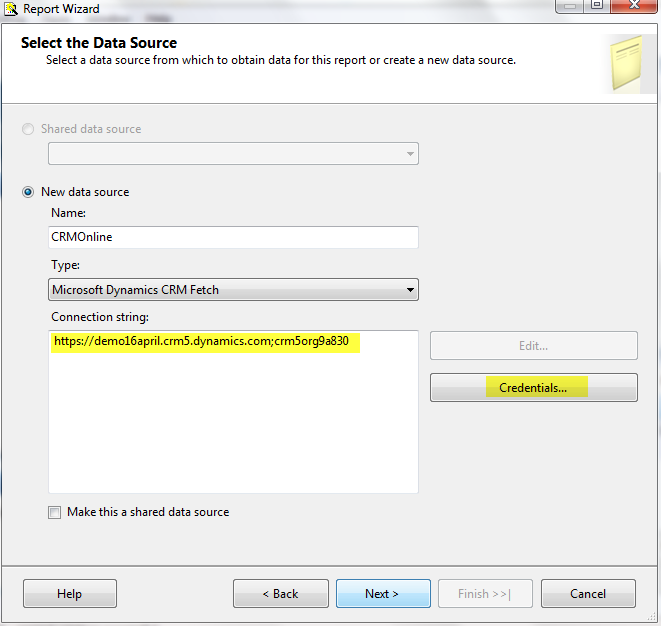 This will give you the ability to create SSRS reports inside Visual Studio 2008 using the Microsoft Dynamics CRM Fetch data source. If you didn’t already have Visual Studio installed the install of SQL Server Business Intelligent Development Studio will load it onto your computer (you get a cut down version of VS that just supports report development). Creating a report is then as per what you are used to except rather than choosing Microsoft SQL Server as your data source you chose Microsoft Dynamics CRM Fetch and you provide your CRM 2011 online URL, Organisation Unique Name and Windows Live credentials. The first bit you can just copy and paste from Internet Explorer. The second bit is the unique identifier assigned to your Organisation. Now, you only need this if your windows live account is associated with more than one Organization but if you are writing custom reports I suspect you’ll be associated to more than one. Tiding up the report appearance should be business as usual for you if you have built SSRS reports before so I won’t go into that here. 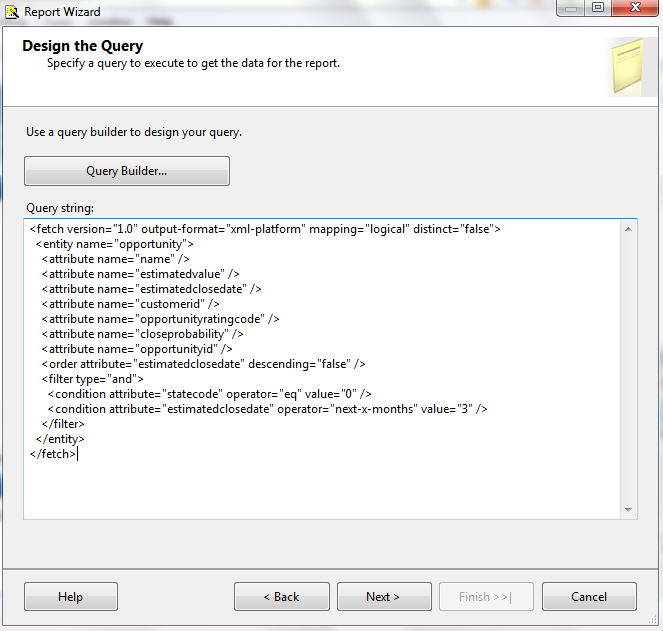 Fetch XML queries return a maximum of 5000 records. 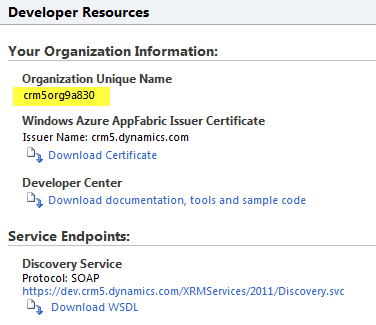 This entry was posted in Uncategorized and tagged 2011, crm, Fetch XML, Report on March 24, 2011 by Gareth Tucker. Thanks for the awesome site. An amaxing collection of answers and insights into some of the more advanced (for me) issues I’m grappling with in trying to move to the next level of service for my CRM clients. Thanks a lot for your blog, very helpful. I was wondering about this fetchxml reporting , do you know if there is a way to retrieve a report (.rdl) from CRM 2011 online and get it in fetchxml? I would like to add a company logo to the “quote” report and move some fields. Yes you can. 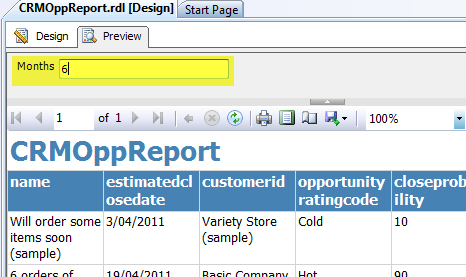 Select the Report, click the Edit button on the Ribbon. Then from the Actions menu select Download Report. That will give you the RDL file which you can then open in Visual Studio to make your edits. Awesome timing, I was just wondering exactly the same question. Thanks for the assistance Gareth. 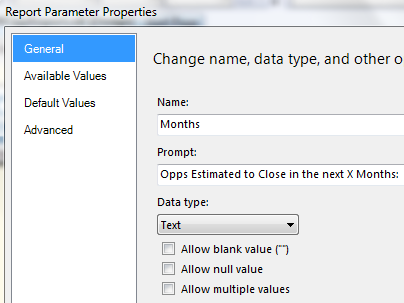 Do you also know how to get the guid of the current record that the report is run from and use that parameter in your FetchXML? Did you ever get an answer to this as I am trying to do the same thing now. I would like the report to run on the current record of my form only. I am trying to create a Sales Order report where the report only runs for the form the user is on. How would I filter that in my Advanced Find query? Thanks for this great tutorial, it’s helped me get started on FetchXML reports. I’ve hit a sticking point: Trying to format a currency value. 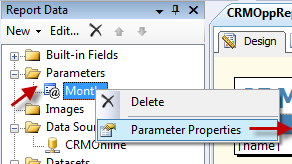 In a SQL report, I’d normally use crm_moneyformatstring which comes from a SQL function. Any idea if there’s an alternate to this for Fetch? SDK doesn’t have any info on it. Never mind – solved that one, was using Value which gives you the raw value, whereas gives you the correctly formatted string. Thank you for this great post (and blog), it helped me so much get started on crm. I have a problem with reports and subreports in CRM 2011 online and hope you can help me with it (I’ve searched over the internet and in forums of social.microsoft.com and I didn’t got response). Hi oscar, I’m experiencing the same problem. Try to add on an empty value line in your sub report and your problem will get resolve. The bit about including parameters into the fetch is awesome! Love this blog. Gareth. If I’m not mistaken, fetchXML will return more than 5000 records. I did some testing with a client that has well over 5000 records using CRM online and it did return the number of records they had in excess of 5000. Is it certain that fetch will really only return that many records? FetchXML will return up to 50k rows in CRM Online – check it out yourself – the 5k is a limit on what is displayed on views, but the rows are still there – up to 50k. The 5k limit appears to be an urban legend. The 5k limit is for the display of fetch xml in dashboard charts, the 10k limit for the export of fetch xml to excel. Both can be extended. Thanks for this really comprehensive description of how to build a fetchxml report. I just have one question left… when making SQL-reports it was possible to use CRMAF_ to use CRM’s dynamic filtering as parameters for the report. Is such a thing at all possible with fetchxml-reports? It doesn’t look that way,but I just want to make sure before heading down a wrong track. 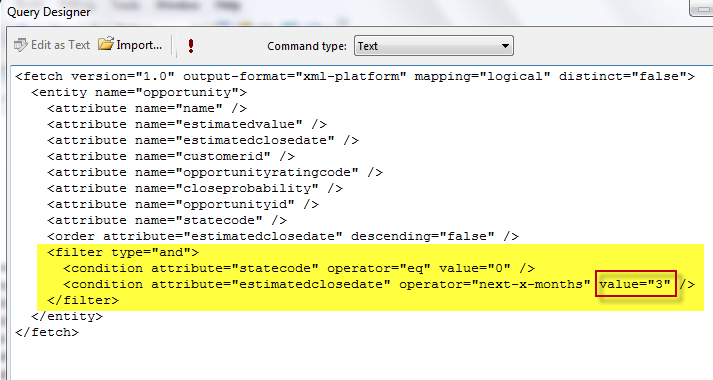 Hi I have a fetch xml query that is using the entity Products, the xml is getting the selected products names from a grid, but I can’t find a way of getting the selected product quantities, Any suggestions? Useful post. Thanks. Since this posting, FetchXML does now include outer joins. So those awkward lack of activity reports can be written natively. When I attempt to upload my new fetchxml ssrs report to crm online, I get the following error: Only data source using fetch data provider is permitted on this report. I created a custom fetchxml report, but ran int the “Only data source using fetch data provider is permitted on this report.” error when uploading it to CRM online. I have tried uploading a simplified fetchxml report, and even downloaded an existing report (some users recommended this) before re-uploading it. No matter what happens I always get the above error. Let me know if you have any suggestions. I just realized that the reportserver solution I’m using is for the VS 2010 shell and I’m downloading the BIDS tools for vs 2013. Maybe the tools are out-of-date and this is causing the error? Are you allowed to use nested queries using Fetch? 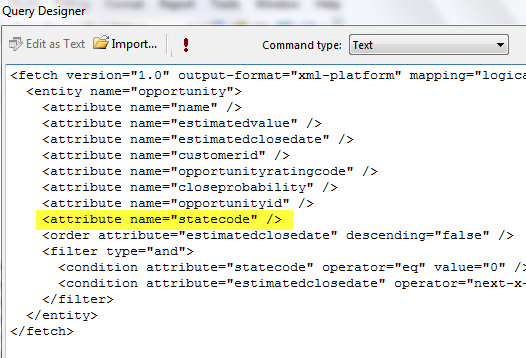 I have a requirement to include a null value in multi valued parameter ,I’m using fetchXML code in my dataset. Please help me with it.